A safari hat is something that every guide would advise you to have and there is a very solid reason for it. You are advised to always carry a specific hat to safari expeditions, not because they look cool, but because they serve a variety of purposes. In fact, the safari related purposes that your hat is supposed to serve should also guide your decision when it comes to buying them. Consider the following before you purchase your first hat for a safari. Why do doctors recommend a safari hat? When you are going on a safari, it is likely that you will find yourself in open spaces and facing a lot of sun. Hats specifically made for safari expeditions are designed in a way to prevent the worst effects of too much sunlight. As is a well documented fact, sunlight is comprised of lights of different wavelengths and the most damaging of these are ultraviolet rays or UV rays. Ultraviolet rays are, in fact, considered to be one of the most damaging naturally occurring phenomena for humans. The reason for this is that ultraviolet rays are carcinogenic in nature, which translates into them being able to cause skin cancer or melanoma in scientific jargon. This is not the only reason for you to get UV protection, and other adverse effects of prolonged exposure to ultraviolet rays include Macular Degeneration, premature ageing of cells, harmful bleaching of hair etc. Although there are many reasons why you should get a special hat for your safari expeditions, the biggest reason is that you will need protection from ultraviolet rays. As this is the primary goal of your purchase, you should focus on the following. Pay close attention to what material your hat is made up of. Since your hat should be able to block off ultraviolet rays, the material that it is made up of should be ultraviolet resistant. The technical rating for materials being able to resist ultraviolet rays is UPF or Ultraviolet Protection Factor. The UPF rating of your hat should be around 50+ because this means that it would be able to block off around 98 percent of ultraviolet rays. The brim of your hat should be as wide as is logically possible because while you want your head protected, you also want your face and eyes to be protected. A wide brim sun hat would prevent sunlight from reaching your face. Most safaris happen in hot climates or, at least, Mediterranean climates. This combined with the fact that you may have to physically exert yourself means that you will sweat a lot. 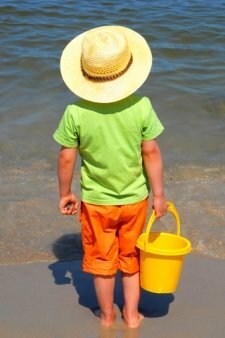 A breathable sun hat would keep your head cool and, hence, prevent you from taking your hat off to feel cool. The need for a high quality safari hat for people going on safaris cannot be understated because the sun is especially sharp in open fields. 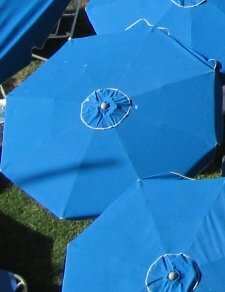 Furthermore, since there is no reprieve from the sun in such situations, these hats are the only protection for people.